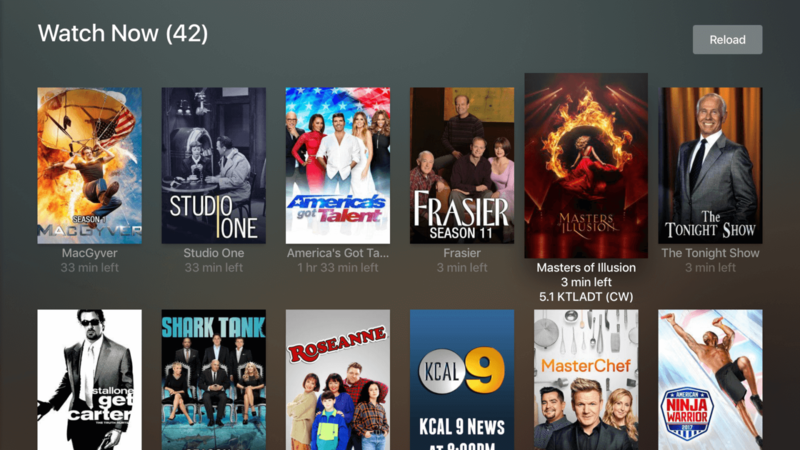 Streaming media software provider Plex on Wednesday announced that its Plex Live TV and DVR services have exited beta and are now accessible on more devices than ever. From today, Plex Live TV is now available on Apple TV and Android devices (up to this point, Live TV was only available for iOS and Android TV users). DVR functionality is also now accessible from Android devices (it seems this feature hasn’t yet made it to Apple TV, however). For those not up to speed, Plex in June launched Plex Live TV. Tied to its Plex Pass subscription service, Plex Live TV takes the over-the-air broadcasts from a digital antenna (which you’ll need to supply along with a digital tuner) and lets you stream them to any compatible device, just as you would using Plex with your local videos, pictures and music. A Plex Pass sells for $4.99 per month, $39.99 per year or $119.99 for a lifetime subscription. Today’s update also allows you to pause and rewind live TV, much like you can do with a cable or satellite company-provided DVR. Adding live television to your cord-cutting arsenal is one of the best and least expensive ways to bolster your viewing options. It’ll be a bit more costly in this case since you’ll also need a digital tuner (and if you aren’t already a subscriber, a Plex Plus membership) but since OTA broadcasts are absolutely free, there are few reasons to pass them up.